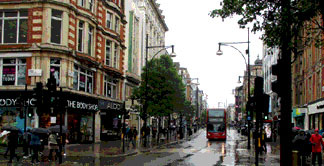 Oxford Street is over a mile long from end to end and is said to be the busiest shopping street in Europe. 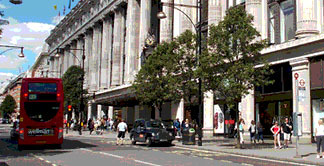 Most shops open Monday to Saturday from 10am until 6 or 7pm and on Sunday from 12 to 6pm with late nights on Thursday. 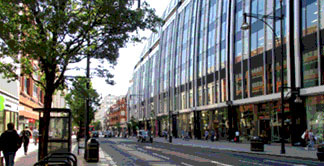 Oxford Street is best known for Selfridges and the other big department stores which are located in the section from Marble Arch to Oxford Circus, along with most of the big-name multinationals. 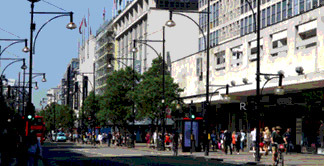 The other (eastern) end of Oxford Street has been undergoing development for many years and will soon be served by a new station on the Elizabeth Line.